Popular tours to Uzbekistan 2019 & vacation packages from Peopletravel, the leading agency of Uzbekistan journeys. We will be glad to offer you a unique solution for your travel to Uzbekistan. Simply send us a request. 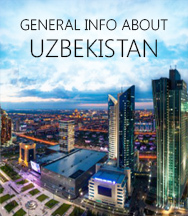 Once you are on this page, do not shelve and leave your offer for a package to Uzbekistan. × If you have any questions, agents of Peopletravel will help you in this issue in shortest time. What is Uzbekistan ?! It would not be an exaggeration to say that Uzbekistan is the real treasure of all Central Asia. 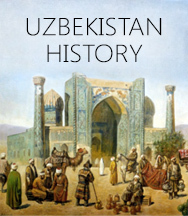 In the era of the Great Silk Road, Uzbekistan played a significant, huge cultural and economic role for both Uzbekistan and the rest of the world. Uzbekistan can be called a kind of paradise on Earth, as here artisans create their masterpieces which are equal to beauty and value to the works of the great world masters. Travelers will be surprised by the beauty and uniqueness of the work of potters, embroiderers, blacksmiths and other masters of various directions. Traditions are very important for Uzbek masters; therefore, they pass on their abilities and secrets from generation to generation, and in turn use the experience of their ancestors. In addition, travelers have an excellent chance to observe the work of masters. Uzbek tours will allow you to make trips to artisan workshops. Uzbekistan is rich in architectural masterpieces and centuries-old traditions. On its territory the oldest cities in the world are located. Some of them are more than 2.7 thousand years old. The surviving monuments are valuable not only for the Uzbek people, but also for humanity as a whole. In this regard, in 1993 Uzbekistan joined the United Nations International Organization for Education, Science and Culture (UNESCO). The list of cultural architectural and immaterial heritage is rich. In general, Uzbekistan can be called a concentration of various architectural eras. At different times different masters, architects and sculptors created their projects. And right now during Uzbekistan trips you have the opportunity to contemplate unique sights. The ancient architectural monuments of Uzbekistan are an important source of knowledge of the art, material and spiritual culture of the Uzbek people. They have their own special features, reflecting the achievements and triumph of architectural thought of the era in which they were created. Scientists and tourists go to Uzbekistan from many countries of the world to study and admire the creations of the great architects of Uzbekistan, which are a vivid illustration of innovation and progressive trends in architecture. Uzbek architects even took part in the construction of large-scale structures outside Uzbekistan. For example, the grandson of Babur, who was the grandson of Timur, was the architect who built Taj Mahal. This is genuine proof that the architecture of Uzbekistan resembles the architecture of India. The sun, mountains, landscapes, and architecture are the most important factors that tourists take into account when planning a trip to Uzbekistan, but there is another factor that is crucial to travel. It's about security. International Center of Public Opinion Research - Gallup has published the report on public safety “Global Law and Order”. Among all the studied countries, Uzbekistan ranked the fifth place. So you can safely travel to Uzbekistan. The most favorable time for tours to Uzbekistan is spring and autumn. Indeed, during these seasons Uzbekistan is transformed and becomes like a kind of kaleidoscope, where everything is filled with a riot of colors. Bazaars and markets abound with natural and juicy fruits and vegetables. Shop merchants with souvenirs and other oriental goods attract with such energy that it is impossible to resist. We cannot be proud of the fact that Uzbekistan is leading in the nomination “Gastronomic tourism”. The analytical agency TurStat analyzed the data of the National Geographic Traveler Awards 2018 voting on tourist destinations for leisure and tourism in the CIS countries. In the nomination "Gastronomic tourism" Uzbekistan is the first. And it is well deserved. Uzbek cuisine is very diverse, and each dish is a unique inimitable taste. All dishes of Uzbek cuisine are filled with aroma and amazing taste. You can explore Uzbekistan together with Peopletravel – the travel agency in Uzbekistan. Peopletravel, a well-known company in the tourist market, has established itself as an experienced travel partner and agent, which you can trust one hundred per cent. One of the mottoes of the company is that every traveler should be satisfied with his or her Uzbekistan tour package. Due to this, the employees of our company will be happy to choose the most suitable suggestion for you. 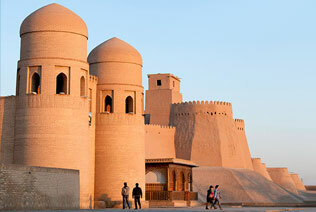 We are pleased to offer the following Uzbekistan guided tours to fit any taste. If it is difficult for you to choose the tour in Uzbekistan, our professional agents will create unique offer for you. Whether it's tailor-made or independent, our team of professionals is ready to work wonderfully well and make for you a masterpiece that meets your needs and desires. Peopletravel offers the list of best tours in Uzbekistan. Peopletravel offers for every client unbeatable prices and unparalleled value as well as first-rate personalized service with this train trip package. Uzbekistan travel package aims to show the guests not only beautiful nature during your train trip through the desert, but also magnificent jewel of cultural heritage of Uzbekistan, as well as national cuisine, art and folklore. Here is a list of Uzbekistan vacation packages. 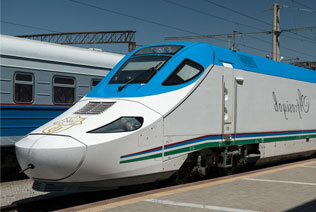 We propose to spend Uzbekistan railway holidays lively, informatively, but not losing comfort. Choose one of the Uzbekistan group tours or individual tours that are guaranteed with certain dates. In this regard, small group Uzbekistan tours with scheduled dates will also arouse your interest. We recommend you to visit the most attractive sights of Khiva, Samarkand, and Bukhara and create your own picture of this beautiful country. Having chosen our company, explore bewitching landscapes and unsurpassed heritage of medieval jewels within historical tours of Uzbekistan. 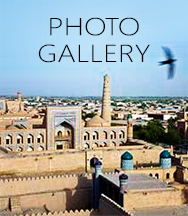 Numerous historic monuments of Tashkent, Khiva, Samarkand and Bukhara were included to the Global Heritage List. During your Uzbekistan holiday packages you will find dozens of monumental buildings, demonstrating its excellent artistic taste. Do not hesitate to book Uzbekistan tours 2019. Peopletravel Company proposes self driving tours around Uzbekistan and Central Asia. This type of travel has become the most attractive because tourists are able to plan their private leisure time. When you make self driving tours in Uzbekistan, you are guaranteed to receive a lot of impressions, positive emotions and beautiful photos in your photo album. Uzbekistan private tours are a great opportunity to get to know Uzbekistan or see it under a new prism. Discover an adventure Uzbekistan package tour to the dying Aral Sea, unrivalled beauty of Kyzyl Kum desert, subjugate Tien Shan mountains and enjoy picturesque landscapes of the unique oasis in Central Asia. The escorted tours of Uzbekistan will enable you to feel unique emotions. 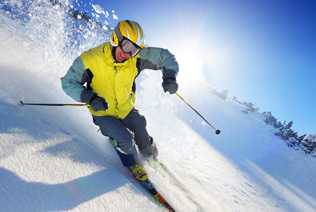 Ski resorts of Western Tian-Shan Mountainsin Uzbekistan welcome you to spend your Winter Vacation. We are honored to offer our service on arranging MICE journeys to Uzbekistan during your business travel. 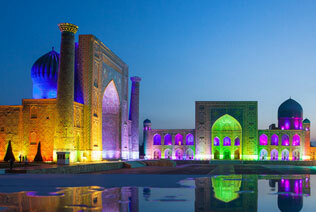 Incentive Uzbekistan tour packages are offered for your convenience. You may combine your trips with cultural tour to Uzbekistan thanks to Peopletravel, the first-class operator. Discover with us attractiveness of the open museum country. Today gastronomic tours are very popular. Peopletravel keeps pace with the times, and also provides its tourists with this opportunity to enjoy delicious dishes of Uzbek cuisine. Is this not the reason to visit Uzbekistan!? Peopletravel also in this case will make for you Uzbekistan tailor made tour packages according to the subject and your desires. If you are not sure which type of Uzbekistan tour to choose, you can directly ask us the question. × The employees of Peopletravel in the shortest possible time can answer all your questions. Just drop us a line. We will take into account your wishes, according to Uzbekistan tourism board. We just wanted to say thanks for your help with the organization of the trip. We heard from a number of other tourists who had difficult experiences so it was great that we were looked after by you and the very professional team at Peopletravel. A special mention for our guide. If we come back to the region on holiday you can be sure that we will be in touch ! Now that I am back home I just wanted to thank Peopletravel stuff for all help with the arrangements for my Uzbekistan adventure. The drivers you arranged were very nice and I had good days out in Shakhrisabz and Karakalpakstan. And, it was much easier to be in Uzbekistan than the guidebooks and Internet suggested so I had no need to be so anxious. Thank you once again and my very best wishes. Our trip was based on three locations. 1. Tashkent - very comfortable. 2. We had a car and excellent English speaking driver for 3 days to drive from Tashkent through the Nurata Mountains and Kyzylkum deserts to Bukhara city 3.We had two day in Bukhara where we stayed in hotel Fatima. 4. We then drove to Samarkand and stayed in a Sultan Boutique hotel. We rode camels and bikes over the dunes of plain deserts of Aydarkul lakeshore. If you are eager to feel the atmosphere of the East and at the same time see the combination of all ancient and modern, make a travel tour to Uzbekistan. Uzbekistan is an amazing country with its own distinct culture and unique ethnic flavour. Each traveler will find for himself a lot of interesting, as there is a great diversity of active leisure. In consideration of the successful geographical location, we can safely say that both lovers of excursion and sports Uzbekistan tourism packages will find themselves. Uzbekistan is a fertile and warm land. Well, having got here, everyone feels warmth in the soul from tremendous emotions. Peopletravel Company, being prominent and successful, introduces the widest and the most various choice of unforgettable and enthralling exclusive tours to Uzbekistan 2019. We provide professional guidance and the whole number of other services which will make your rest as comfortable as it is possible. Our skilled managers will make your Uzbekistan holiday packages pleasant and enjoyable. Let's overview the most attractive features of our proposition, learn about various kinds of tours around Uzbekistan from Peopletravel, and realize that our company is the best choice for everyone who wants to get the most comfortable and luxury leisure. Peopletravel will help you to discover the remotest corners of our country, just like the famous places and popular sights of Uzbekistan. Whether it is a tour to Uzbekistan from Japan, Malaysia, UK, USA, Australia, London or Singapore, Peopletravel will take into account the wishes and subtleties of any traveler. The world is huge and not everyone knows about journeys to Uzbekistan. Become the pioneers and share your impressions and experiences with your loved ones. Uzbekistan tours: our propositions and why one should set his choice on Peopletravel Company. 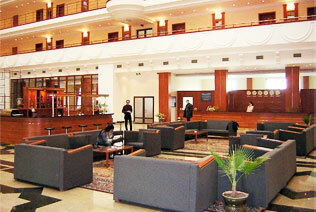 The company has been successfully operating in the tourism market of Uzbekistan since 2006. The company has established itself as a prosperous and leading tourism firm. Twelve years of practice and high level skills of our every specialist provide the widest choice of interesting tours in Uzbekistan. We try to satisfy wishes of every our guest and do everything best for paying your attention to our offer. The company`s staff speaks many foreign languages, such as Spanish, German, French, Chinese, Russian and English. An experienced team of our company adheres to an individual approach. We can organize any individual Uzbek tour according to your desire. Employees of Peopletravel have a lot of creative non-standard ideas. They easily generate new exciting types of tours throughout Uzbekistan. An excellent example of this is the rally tour in Uzbekistan, which was launched by Peopletravel. 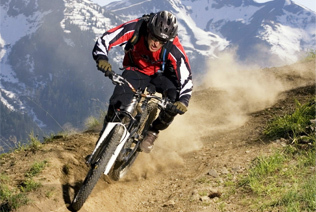 In addition, our company was the first to introduce such service as rental of bikes. From the above, it is clear that the company Peopletravel has a non-standard approach to the solution of the tour-goals. Your only task as a traveler is to contact us, express your wishes and wait for a rest in Uzbekistan. One of the most important reasons why one should choose Peopletravel is that the company has the most competitive prices. We take care of your money. For saved money you can buy beautiful, rare souvenirs in the national Uzbek style. 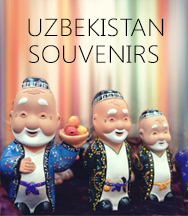 Uzbek bazaars and souvenir shops abound with various souvenirs and gifts. Also here you can buy Uzbek fragrant spices. The most famous Tashkent bazaar in the national style and color is the Chorsu Bazaar. In Samarkand it is the Siab Bazaar. Peopletravel has flexible payment method. The payment for tourist services can be made both on arrival and in advance. Other options are also possible. An important advantage of Peopletravel, is that the company's employees are young, energetic people. They are full of strength, creativity and cheerfulness. 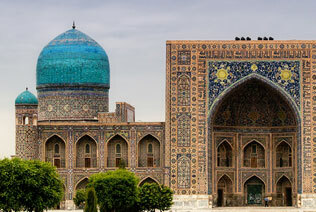 Peopletravel offers a wide variety of tours around Uzbekistan and the whole Central Asia. Budget kind of tours in Uzbekistan provides visiting the largest cities, watching the best sightseeing of the country, and enjoying endless sandy deserts through the window of fashionable premium-class train. During Classical Uzbekistan tours (prices for each of them include transfer cost) you will visit the most important historical places of the country. Among them we offer watching Kunya-Ark fortress, Gur-Emir Mausoleum, and some other sightseeing that are included into the World Global Heritage List. Business variant is the most suitable for busy people who have no much time for vacation, but need to visit as more interesting places as it's possible. We offer these short tours of Uzbekistan for reasonable prices and the whole package of professional assistance. Adventure variation is for brave and active people who prefer nature, traveling by foot, skiing, and even riding a camel. We propose to choose such tours to Uzbekistan 2019, as Tian-Shan Mountains, Aral Sea, Tashkent Lakeside Golf Club, and other kinds according to your wishes. For Guaranteed departure type you should plan your Uzbekistan vacation in advance. Here we propose individual and group tours around Uzbekistan, and this category means special routes you choose yourself. 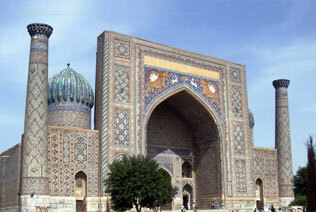 Every Uzbekistan tour package presented by our company provides the great choice of opportunities. Moreover, service of Peopletravel guarantees complete safety and absolute quality of transferring through the country, staying at our hotels and having meals. Our great advantage is in "Turnkey service" that provides the most completed package of assistance. It usually includes opening visa, booking tickets and guidance during the whole travel. 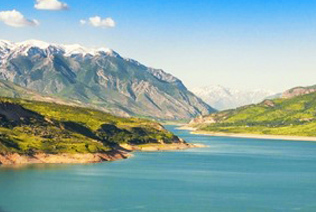 In addition to all of the above, Peopletravel has so-called silk route tours. For example, you may be interested captivating tours to Tajikistan. You will be also curious about fascinating tours to Turkmenistan. Reasonable low prices that help you to choose the most interesting Uzbekistan tour without getting any financial problems. But the important point is that the quality of service does not deteriorate by one iota. We are happy to host tourists from almost all over the world. Our company assumes such obligations as hotel booking, air and railway tickets, transfer, visa support, guide service and interpreters. 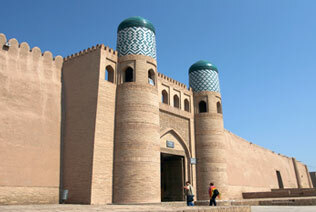 With us package tours to Uzbekistan are convenient and safe. We are happy to arrange individual offer for those who want to relax from the bustle and alone to enjoy the beauties of Uzbekistan. Here such Uzbekistan holiday packages as self driving and bike rental are topical. Mysterious East, the land of sun and heat, the country of hospitality and coziness - all this is about Uzbekistan. It strikes with hot sand of deserts and the purest lakes, high inaccessible mountains and oases with a shadow of vineyards and plane trees, ancient cities that saw Alexander the Great and Amir Timur. 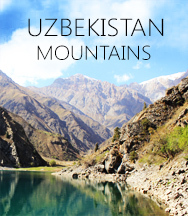 What can one do in this amazing corner of the world during Uzbek tours? To climb the Islam Khoja minaret in Khiva. To see the Registan Square in Samarkand and feel like a part of the majestic madrassas and medieval mosques. To understand the secrets of Shah-i-Zinda. Many who have visited this place of interest, dream to come back here, to see the magnificence again and hear the silence of the complex. Each mausoleum is a small masterpiece of art: colored tiles, mosaic, marble, outlandish ornament, richness of colors. This small street, as if descended from the tales of Scheherazade, makes an impression more than the most magnificent mosques and high minarets of other eastern cities. To bypass the Ark Fortress in Bukhara - a unique monument of the past. Reminiscent of an irregular rectangle, Ark Fortress was built more than 1500 years ago. It was used not only as a fortress for its intended purpose, but also as the main residence of the rulers of Bukhara for many centuries. To hear from the guide a fascinating story about the Bibi Khanum mosque in Samarkand. To taste dishes of excellent Uzbek cuisine. Only during the cultural tours to Uzbekistan on the Uzbek land you can try a truly delicious masterpiece pilaf, shish kebab, shurpa, samsa and much more. To spend the night in yurts in the Kyzylkum desert. 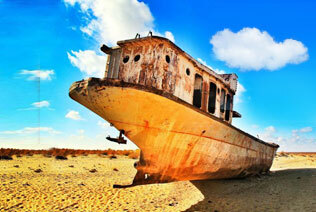 To step over the dried up Aral Sea. Half a century ago there was a huge drainage salt lake-here. Fishing flotillas plowed spaces of the Aral Sea. But today here you will see the ruins of lighthouses, abandoned villages, and the "ship graveyard." To go camping in Chimgan and meet the dawn on Charvak. Not many people know that Uzbekistan has a magnificent landscape, but in vain. 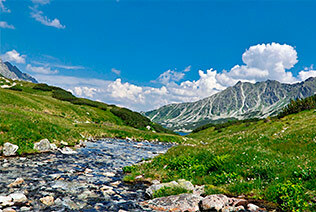 Enjoy the beautiful scenery of mountains, deserts, rivers and lakes. Adventure Uzbekistan tours are tours for active brave people, ready for surprises and new emotions. Itineraries are of the most diverse natural landscapes and complexity categories. To visit Uzbekistan bazaars and buy spices, dried fruits, Uzbek fruits, ceramic, silk and wood products as well as beautiful hand-made carpets. To appreciate the unique mix of Uzbek and Soviet architecture in the cities of Uzbekistan, mainly in Tashkent. To enjoy the atmosphere of village life in Uzbekistan. You may choose any Uzbekistan tour itinerary proposed above and spend your weekend with great pleasure. Length of borders — 6621 km. In general, Uzbekistan is a country in which the cultural heritage is well preserved. Monuments of archeology and monuments of architecture of Uzbekistan have reached us in a pristine form. All products of culture created by our contemporaries and used today can also be attributed to the cultural heritage. With its rich cultural heritage, spiritual values, great achievements in science and education, Uzbekistan made a significant contribution to the development of mankind. Its rich heritage is kept in hundreds of museums, scientific research institutes, galleries and archives of the country and abroad. Uzbekistan is a relatively young independent country. It follows that not all foreign travelers know about Uzbekistan yet. But on the one hand it's good. Uzbekistan can be called a "pristine" country. The Uzbeks are not accustomed to a large number of tourists, and every tourist is in weight of gold and the most expensive guest. In general, there is no such feeling that the whole tourist infrastructure is calculated for flow. 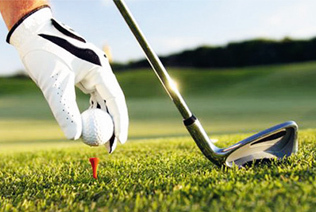 All service is performed in a high-quality and conscientious manner. Uzbekistan is a multi-ethnic and friendly country. It has more than 100 nationalities, and they all live in peace and harmony. There are many national cultural centers in the country, where one or another people can study the traditions and customs of their nation. But the indigenous people of Uzbekistan are the Uzbeks. The Uzbeks profess a tolerant Islam. To date, in almost every village there is at least one mosque. 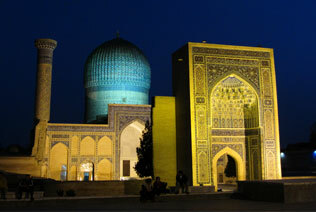 The attention paid to Islam in the country was appreciated in 2007, when Tashkent was recognized as the center of Islamic culture. Enlightened Islam, as in the period of Ibn Sino life, today is directed to improve the education and culture of the Uzbek people. Also in Uzbekistan officially there are 37 non-Muslim denominations. It is safe from all points of view to have holidays in Uzbekistan. The cities of Uzbekistan are well run by the police. In this you can be sure yourself, when walking through the streets of the city, now and then will meet the policemen. Uzbekistan is safe from the point of view of natural disasters. There are no hurricanes, typhoons and constantly recurring earthquakes. For that, the mountains with the deserts, the rivers and valleys, perfectly contrast here. Landscapes are wonderful. And if you do photography, then for you there will be real expanse. There is an interesting fact. Uzbekistan is a double land lock country, even through the territory of neighboring countries. But despite this there is such an amazing diverse nature. 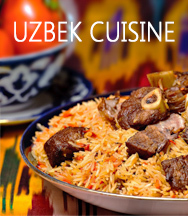 Lovers of delicious food will also love Uzbekistan for its appetizing, rich cuisine. Not only that Uzbek dishes have a palatable taste, they are made from natural products, fruits and vegetables. There are no genetically modified foods. Uzbekistan impresses with its variety of dishes. Of course, these are pilaf, shashlik, shurpa, kazan kabob, somsa and the most delicious Uzbek bread ("non"). Uzbekistan can be called a gastronomic paradise. Prices will nicely please you. A full lunch or dinner, drunk with a mug of tasty beer, will not cost you anything at all. A new country is always something new and unfamiliar. The tourist can have a variety of questions. In this regard, we bring to your attention the most frequently asked questions regarding. First you need to go to this link and find out if tourists from your country need visa. For some countries, visa is not needed at all. For others, there is a simplified view of acquiring Uzbek visa. Do I need to register upon arrival in the country? If yes, how ought I to do it? Yes, registration is required upon arrival in Uzbekistan. Usually it`s done in the hotel where you stay. Registration must be done within the first 3 days. Can I import foreign currency into Uzbekistan? If yes, how much is allowed? And what currency is better to import? Yes, you can bring foreign currency with you. In Uzbekistan only 4 currencies are subject to conversion: dollars, euro, British pounds and Japanese yens. The most popular are dollars and euro. You can import any amount of money, but can export up to $ 5,000 (or equivalent in another foreign currency). Where can I exchange foreign money for Uzbek? You can exchange money at the exchange offices of banks in Uzbekistan. Can I receive money using money transfers? And what are the ways of money transfers in Uzbekistan? Yes, you can get money from your relatives and friends, while making use of money transfers. In Uzbekistan there are the following money transfers: Anelik, Contact, Lider, Migom, MoneyGram, Unistream, Western Union, Asia Express, Zolotay Korona. What to do if on arrival in Uzbekistan a preponderance of luggage was found? In this case, you will have to pay the fee according to the rules of the airport. Payment is made in Uzbek soums. You can exchange your money for Uzbek soums at the airport bank. Why do tourists deprive their passports after check-in at the hotel? These are the rules for all tourists. This is done so that after your stay at the hotel you are given a registration form with the hotel stamp. You can be asked for these documents at the airport. Will I get medical help on insurance? Does it apply to foreign citizens? You can get medical insurance in your home country, but you must make sure that this insurance company operates on the territory of Uzbekistan. If necessary, which medical organization will help me? How does it work? Travel insurance is mandatory for all tourists. At the time of booking a tour, each traveler must take an insurance policy from a reliable insurance company, which, if necessary, will cover the costs associated with injuries, medical care, repatriation, loss of luggage, as well as cancellation or reduction of the tour program. You can also get an insurance policy from a local Uzbek insurance company for an additional fee. Are there ATMs in Uzbekistan? Not all ATMs in Uzbekistan accept foreign cards. It is better to use cash. What is the electrical voltage in Uzbekistan? Do I need to bring adapters? In Uzbekistan voltage is 220 AC. If your equipment does not comply with Uzbek standards, we advise you to bring adapters with you. How is the situation with cellular communication and the Internet? Does everyone have wi-fi access to the Internet? You can connect to the Internet by activating the Internet package on your phone or by connecting to wi-fi. Usually wi-fi is in hotels, cafes or entertainment complexes. Is there roaming in Uzbekistan? Depending on the operator of the service provider in the home country of the visitor of Uzbekistan, roaming will be carried out by one of 5 operators of the country. Before visiting Uzbekistan, you should find out whether your native cellular operator is a roaming partner at least of one of the five Uzbek mobile companies. Is it possible to use my mobile/cell phone while in Uzbekistan? It is possible. Cellular services will be provided to you by your local roaming partner. To exclude large expenses, we still recommend you to purchase a SIM card from one of the local cellular companies. We would not advise drinking unrefined and not boiled water from the tap. It is better to buy water in bottles. Such water is not expensive and is sold everywhere. If I am a vegetarian, will it be difficult for me in terms of nutrition in Uzbekistan? Of course Uzbek cuisine is a cuisine in which there is the prevalence of meat dishes, but there are also vegetarian cafes. And what about gluten free / vegan? Being an adherent of gluten free food, you certainly lose the opportunity and pleasure to try the famous Uzbek flat cakes. It would be a good variant if you took with you gluten-free food that can be stored. For example, some crackers. Many people making a tour to Uzbekistan think that Uzbek food and Uzbek cuisine is too fat for mastering. But from the point of view of processing products, there is no need to be afraid. The food is prepared according to the sanitary norms. Simply you should know that raw fruits and vegetables should be washed before consumption. How to dress in Uzbekistan? Are there any strict rules? There are no strict rules in clothes. Simply you should know that when visiting mosques and other religious places it is better to wear closed clothes. Knees and shoulders should be covered. Women may wear a headscarf on their heads. If we talk about clothes, as a means of protection from the sun, it is better to take with you cotton clothes, put on your heads a hat. Put on comfortable shoes, especially if your Uzbekistan tour program includes visiting natural sites. Shoes should be strong and light. From the sun cream should be applied. What clothes should I take to Uzbekistan? Take personal clothes, hygiene products, a pair of trousers, T-shirts, jackets. Just in case, take the winter seasonal clothes. A headdress, sandals and a bathing suit (in Uzbekistan hotels there are pools) will be not superfluous. A compact umbrella will be also not superfluous. What is the difference in time with Uzbekistan? In Uzbekistan + 5 hours GMT. What language do local residents of Uzbekistan speak? Uzbek people speak mostly Uzbek. Many know Russian. Sometimes young people or other people know English. When is it better to go to Uzbekistan? Spring and autumn are the most favorable seasons for visiting Uzbekistan. It is not very cold, not very hot, there is a beautiful scenery. Tourists of what age can visit Uzbekistan? Tourists of any age can go around Uzbekistan. Underage children must enter the territory of Uzbekistan with their parents. Is it accepted to give "tips" in Uzbekistan? It`s up to you. The locals give tips in cafes and restaurants, if they like the quality of service. In general, the attitude to the tip can be characterized as a willingness to accept, but not willingness to ask. Therefore, the most appropriate small tip will be for waiters and hotel employees. The local population does not give tips to taxi drivers, however, any excess of the agreed amount will be accepted with surprise and gratitude. What are the toilets in Uzbekistan? In large cities toilets are of the standard European type. During tours to Uzbekistan in small villages you will see toilets with a hole. Not everywhere there is toilet soap. So, seize your soap or wet wipes. What are the holidays in Uzbekistan? There are both state and religious holidays in Uzbekistan. Find more information here. Please, read useful tips from Peopletravel Company. When buying a souvenir, ask the seller if special documents are needed when exporting this souvenir abroad. If such documents are needed, you ought to prepare them. Basically in Uzbekistan they pay cash. The capital of Uzbekistan is Tashkent. How do you do? Yakhshimisiz? Is everything ok? Khammasi joydami? Can I help you? Sizga kanday yordam bera olmaman? 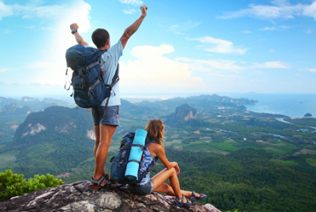 Peopletravel promises that your sightseeing will be the most comfortable, interesting, and unforgettable! Choose the best Uzbekistan tour guide for your purposes and desires!